Wheeled 1100L bins are housed within the steel units, accessed by a slot feed for refuse. 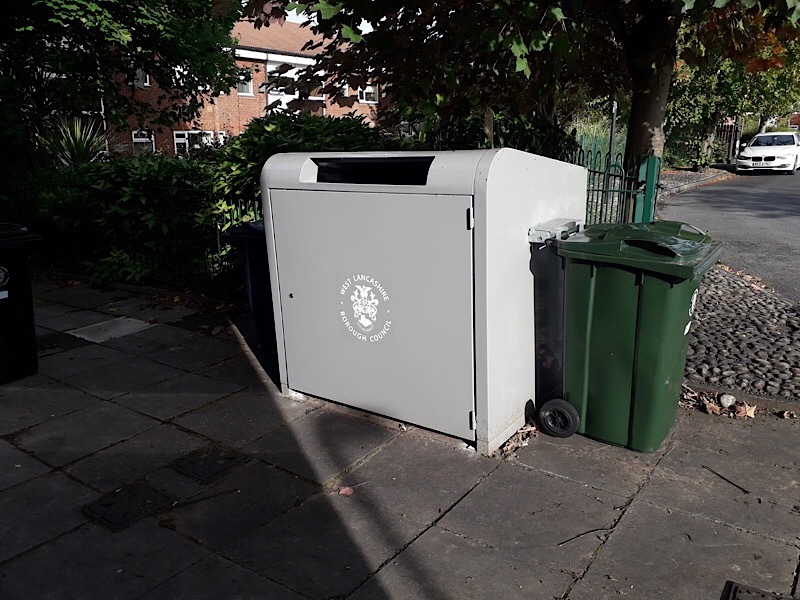 The scheme will see these bins installed throughout a wide area of housing estates. Some of the work involves creating concrete pads for housing the bins store units. Not much more we can say about this scheme, its a box for a bin!